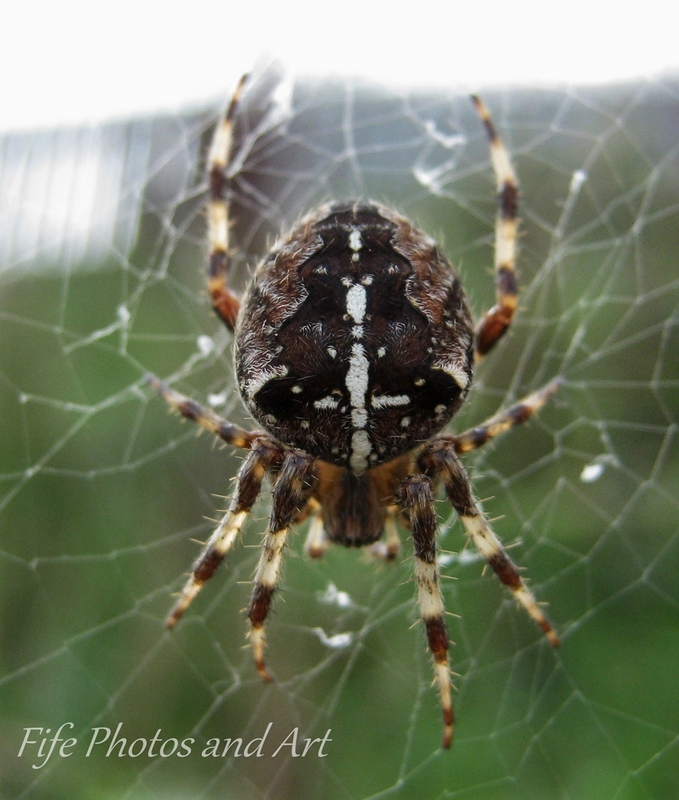 This entry was posted in Wildlife and tagged Balbirnie House Park, Fife, garden spider, Glenrothes, nature, Scotland, spiders. Bookmark the permalink. Eeek, now that’s what I call a spider!! That is a plump looking spider! We’ve had a relatively good summer this year Ruth, therefore lots of flies for it to eat 🙂 Good for the spider, not so good for the flies! I’d rather spiders than flies and he certainly looks like he’s had a fair portion of them. Thanks Millie 🙂 I’m the only one in our household who likes spiders, like you I find them fascinating. I imagine you are probably the official spider catcher in your house too! That is so often the problem, they so often end up in corners or parts of the ceiling that you can’t reach. Most of the time I use a cup for ease, but I’ll happily catch them with my hands if I’m sure I won’t crush them. But I can understand why lots of people don’t like house spiders, their colour doesn’t do them any favours in that respect. I’ve got one of those giant beasties on my blog as well, it’s much lighter brown and now where near as in focus as yours though! As spiders go they are . . . scarey but interesting! I think they are fascinating when they are outdoors. It’s amazing how quickly an orb spider can build its web!! That’s a sturdy guy 🙂 I am not doing macros, just close ups on occasion, and my spiders are never that big. Love the picture!